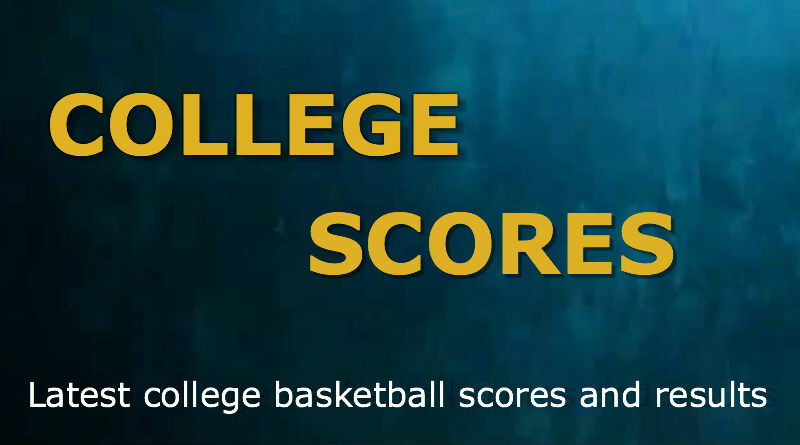 FORT LAUDERDALE, Sporting Alert – College basketball top 25 scores, box scores and video highlights from the games played on Tuesday, 22 December. Bryn Forbes stepped up big time in filling the void left by Denzel Valentine to score a career-high 32 points and No. 1 Michigan State beat Oakland 99-93 in overtime on Tuesday night. Forbes shot 9 of 15 from the floor and made seven 3-pointers in the win. Playing its first game without star forward and leading contributor Valentine, the Spartans struggled to shake off a very determined Oakland team and needed overtime to complete the job after the two sides end regulation tied 83-83. Eron Harris added 27 points, five rebounds and five assists and Matt Costello chipped in with a double-double of 10 points and 11 rebounds for the Spartans (13-0) who are now off to the best start in program history. Kahlil Felder led Oakland with a game-high 37 points, including the two free throws to send the game into overtime — to go along with nine assists and Jalen Hayes added 16 points and 11 rebounds for the Golden Grizzlies (7-4). Sherron Dorsey-Walker scored 13 points in the defeat for Oakland, which had its four-game win streak snapped. The top-ranked Spartans shot 50-percent overall on 29 of 42 shooting from the field and 58.8-percent from 3-point range on Tuesday night. Ivan Cruz Uceda scored 20 points off the bench and No. 13 Miami handed La Salle its worst loss in school history, following a 95-49 victory in a college basketball game Tuesday night. Sheldon McClellan added 16 points and six assists, Angel Rodriguez ended with 11 points and Tonye Jekiri finished with 10 points and 14 rebounds for the Hurricanes (10-1) who have now won five games in a row. No La Salle player managed to reach double-digits in scoring, but Tony Washington grabbed 10 boards and eight points in the defeat for the Explorers (4-5). Miami dominated the on the glass after outrebounding La Salle 51-24, while shooting 53.1 percent from the floor. Perry Ellis scored 14 of his 20 points in the opening half and No. 2 Kansas beat San Diego State 70-57 in a college basketball fixture on Tuesday night to close out its road trip before the holiday break. Ellis, who played a game-high 35 minutes, shot 8 of 15 from the field and hit two 3-pointers in the outing. Frank Mason III added 12 points and Wayne Selden Jr and Devonte’ Graham each finished with 12 points for the Jayhawks (10-1) who shot 42.6-percent from the floor, the lowest shooting percentage in a win for the Big 12 outfits this season. “We needed this game,” Kansas head coach Bill Self about the win. “We played great early – probably even missed some offensive opportunities. The second half San Diego State was more aggressive in the first 10 minutes. Zylan Cheatham led San Diego State with 12 points, eight rebounds and five assists, with Jeremy Hemsley ending with 10 points for the Aztecs (7-6) who dropped its last two games.